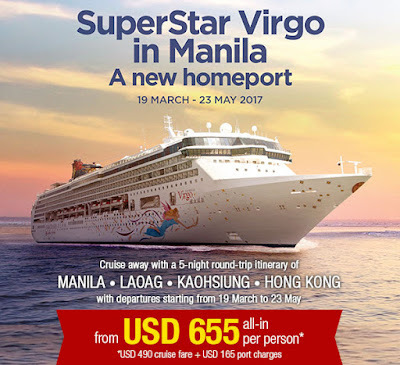 Have an experience of a lifetime onboard Star Cruises with Superstar Virgo as it embarks on a roundtrip cruise from Manila to Laoag, Taiwan and Hong Kong this March 19 to May 23, 2017! Traveling is the newest and fastest growing trend as today’s tourism industries are further developing and traveling destinations all over the world become much accessible to the public. Now, more and more people are opening their doors to new travel opportunities whether it be local or abroad, by sea or by air. From March 1 to 5, 2017 the leading cruise line in the Asia Pacific, Star Cruises, is making its way to Greenbelt 5 Fashion Walk to showcase the company’s newest travel offers and promos especially for this summer. The event is also set to celebrate the opening of its new homeport in Manila, marking Star Cruises as the first cruise industry to do so in the Philippines’ capital region, allowing Filipinos to reach further destinations in the Asia Pacific much closer, hassle-free and visa-free. As such, Star Cruises booths will be set up by the mall entrances with the company’s travel agency partners attending the area to accommodate interested travelers and tourists. 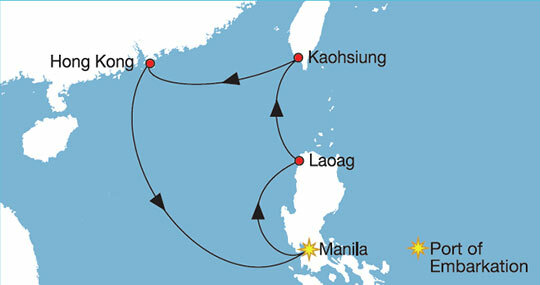 As the new homeport opens, the company is now launching new luxury cruise trip opportunities straight from Manila to Laoag, to Taiwan and Hong Kong starting March 19 to May 23, 2017! Summer is fast approaching and no better time than now to explore and discover what awaits you onboard the leading cruise line in the Asia-Pacific, Star Cruises. To know more about Star Cruises, Dream Cruises and its available cruise offers and promos, visit the Star Cruises booths at Greenbelt 5 Fashion Walk from March 1 to 5 during mall hours, or visit the Star Cruises official website at www.starcruises.com.